There are many different ways to be creative in the modern world and one of those ways is with alcohol. Many individuals enjoy mixing drinks and making cocktails. However, how would you go about making and modifying your own liquor if you wished to add new flavors and spices into a bottle that you already owned? Fortunately, you have many options on how to do this. One popular method is to spice up whiskey by adding a selection of different elements. Fireball cinnamon whiskey offers a spicy alternative to the usual brand of whiskey and is becoming more and more popular for individuals. This interesting video tutorial shows you how to alter a normal bottle of whiskey and is great for those who are looking for ways in which to make their own high-quality cinnamon whiskey with a delicious spicy touch. You may have heard of Fireball whiskey before. It’s a whiskey brand that is available in stores; however, there is some evidence that it may contain chemicals that are bad for your health. Fortunately, an all-natural alternative exists that will allow you to enjoy the drink and amaze your friends with the spicy and fiery mixture of cinnamon and whiskey. 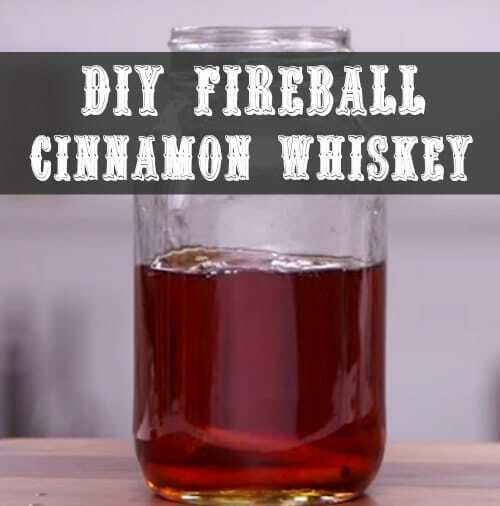 We’ve tracked down a video tutorial that can show you how to adapt whiskey into fireball cinnamon whiskey so that you can capture the flavor and fire of fireball without risking your health with dangerous chemical additives. The ingredients that you will need to adapt your whiskey are easy to obtain and can be found in your neighborhood grocery store. The method in which you change your “normal” whiskey is also easy and can be done easily and effectively. Once you make the whiskey concoction (using particular ingredients that are clearly presented in the tutorial), all you’ll need to do is leave the whiskey for a relatively short period of time (okay, it’ll be a few days but you definitely want your ingredients to infuse their flavors into the whiskey) and then it will be ready to drink.